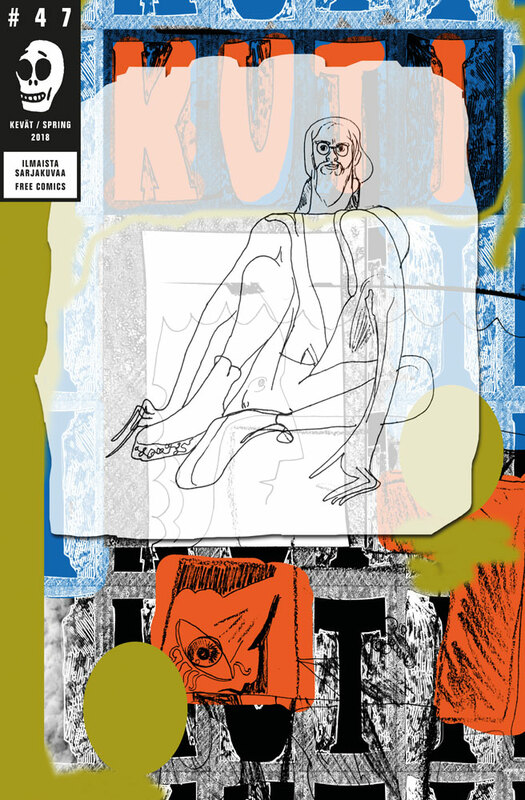 KUTI#47 – the spring 2018 issue is our latest open call -based comics cocktail, with 48 pages featuring an all-star cast of international talent: Adrián Astorgano (ES), Gabor Bata (CA), Nora Einbender-Luks (US), Chiara Lammens (BE), David Liljemark (SE), King Louie’s Lab (UK), Ulli Lust (DE), Jaakko Pallasvuo (FI), Iván Riskin (AR), Maria Tetzlaff (DE) and Lika Zakirova (RU). Edited by Terhi Ekebom & Heikki Rönkkö, with layout by Benjamin Bergman and cover by Jaakko Pallasvuo. Assistant editor Tommi Musturi. Edition of 6 500 pcs. Reminder: to be able to put out Kuti we need subscribers. One year (4 issues) costs 12 eur in Finland or 20 eur anywhere else and that includes shipping as well. Way too cheap so please SUBSCRIBE. Muchas gracias!